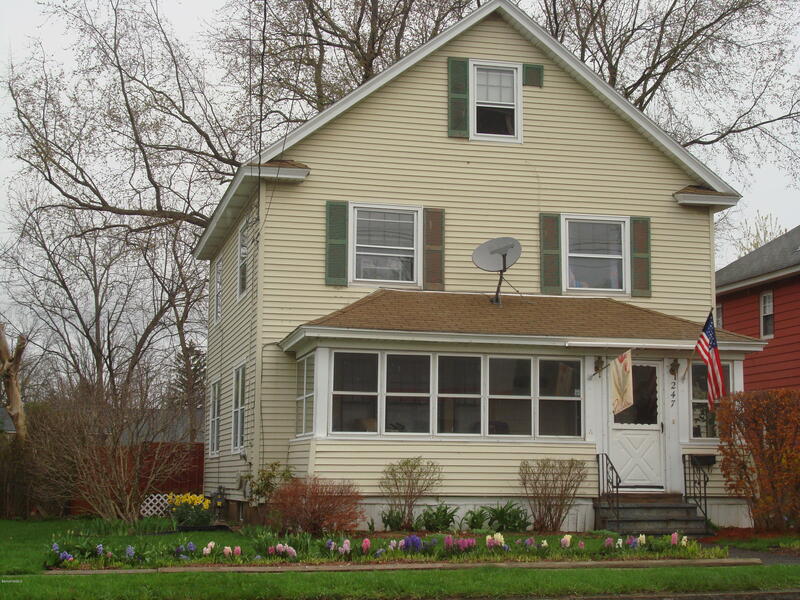 Three bedroom, 1 bath Colonial with vinyl siding, eat-in kitchen plus dining room, large closets, finished area in attic, cozy enclosed front porch, detached garage, deck and fenced in yard. Newer Weil McLain boiler, updated 100 amp electric, wood floors throughout. In town convenience, minutes from bank, Deming park, schools, stores and restaurants.